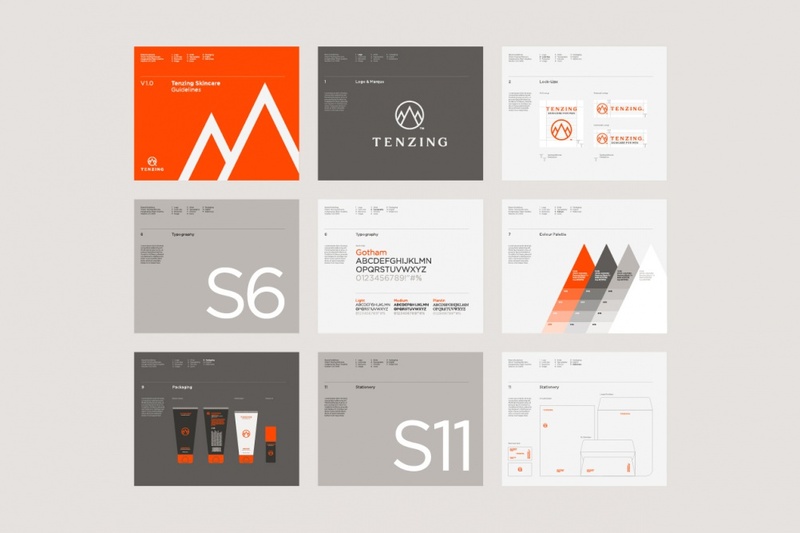 Mash Creative and Socio Design have created the identity for Tenzing, a men’s skincare brand named after Sherpa Tenzing Norgay, part of the first two-man team that climbed Mt Everest more than 60 years ago. 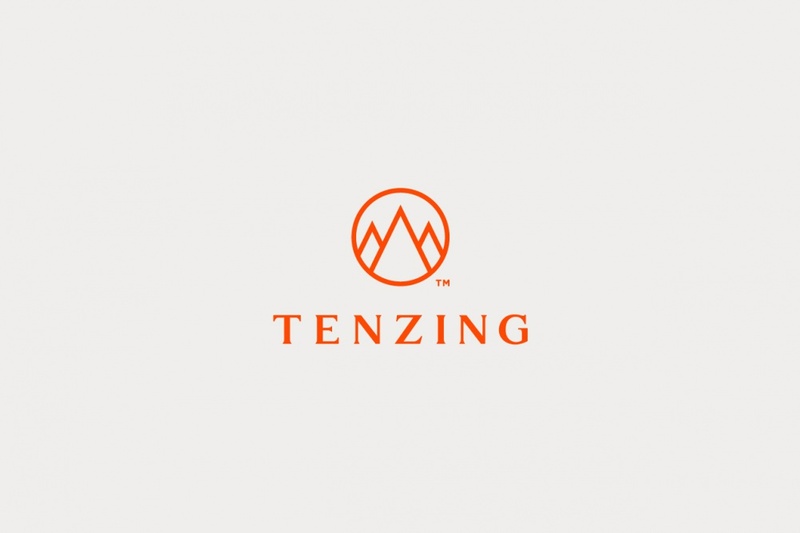 The new brand features a mountain marque which the consultancies say is “designed to lead the storytelling of Sherpa Tenzing Norgay and act as a metaphor for ‘conquering life’”. 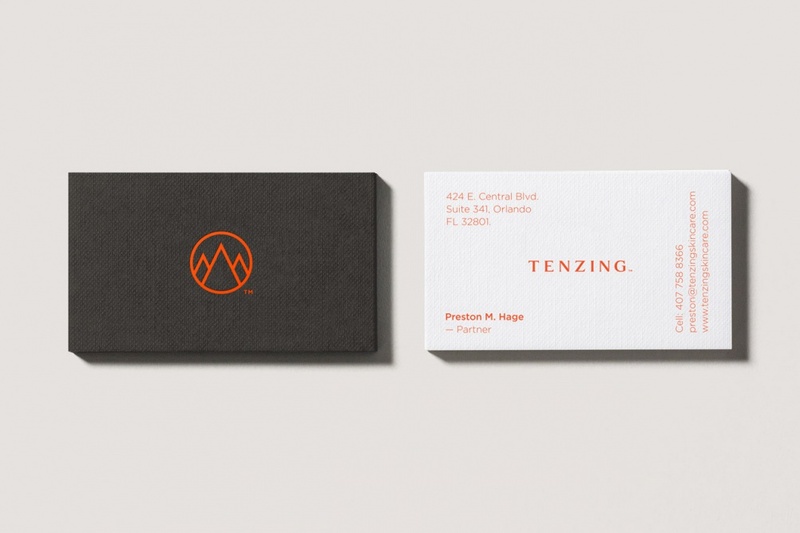 They add: “The geometry and cleanliness of the marque is offset with a robust serif logotype, helping to communicate the historical background of Tenzing Norgay and position the products for a male audience. 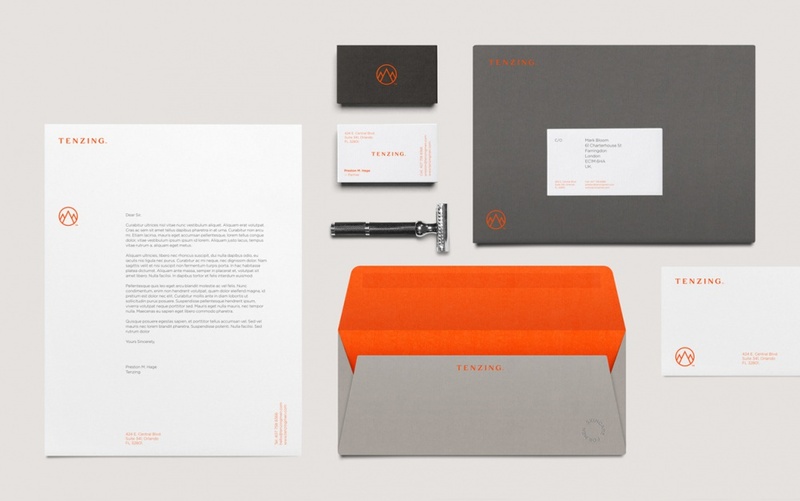 A vibrant orange was selected as the main brand colour for packaging and POS as it gave the product increased visibility in a retail environment whilst also communicating the refreshment that comes from the aloe based products. Sage Mint and Sandalwood variations were differentiated through a suite of warm greys.